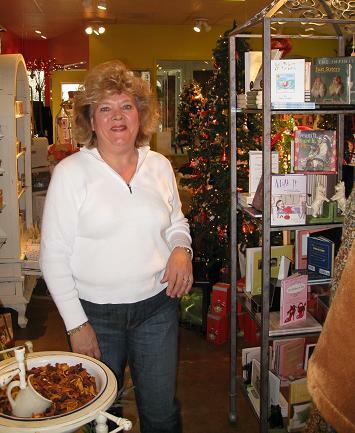 Welcome to Lemon Grass Gifts! Lemon Grass opened in the fall of 2000, with a tiny 500 square feet on the floor, and after two expansions, we now have approximately 2500 square feet. A unique blend of products to fit your gift and home comfort needs fill the store. We are proud to represent body products that are free of mineral oil, petroleum and animal by-products. Gift wrapping is always complimentary. You know you've received a gift of fine quality when our "green bag" shows up at your party. You are invited to view our newest finds by receiving our e-newsletter. Please feel free to sign up by e-mail at the "contact us" area of this page. Explore our site and let us know how we can assist you further. Sunday following Thanksgiving we are open 7 days a week until Christmas.